Top quality unheated Umba Ruby facet rough. 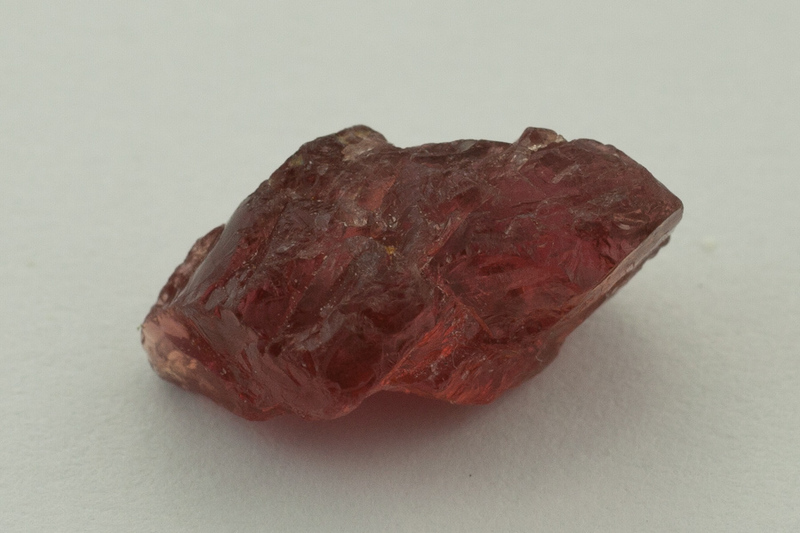 This is the brightest reddest stone we found in over 500g of Umba Sapphire sorting piece by piece. It is a rich plum red, the cross table is a reddish orange. Passes the white paper test. With so much treated and glass filled material lurking in the marketplace, this is truly a gem.